A new Bunnings gift card scam has been caught by MailShark spam filters claiming that it is expiring soon, in an attempt to catch the receiver’s attention. Bunnings Warehouse is an Australian household hardware chain of stores and is the biggest in the country. Keep reading to find out more about this scam attempt and delete it from your inbox if received. Figure A shows the email in question. Just by looking at it, it has all the clear signs of a spam email – it is badly designed, built and looks a mess. The subject line reads “Important! 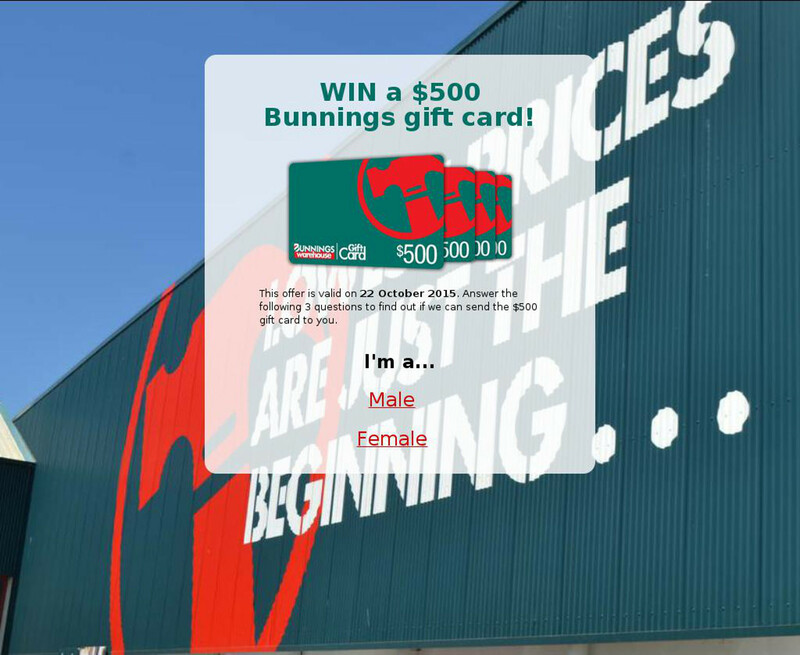 Bunnings giftcard is expiring soon”, the grammar is another indication of the email’s true nature. The sender is shown as “bunnings australia” (with no capitals) and the email address is in no way associated with the official Bunnings website and is clearly spam. 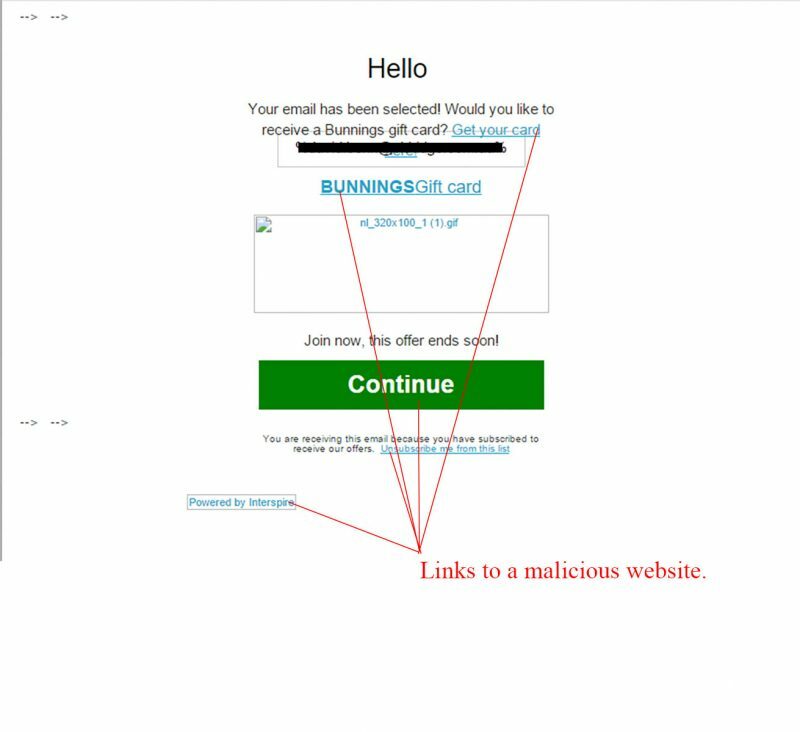 There is one main call to action in green, but every link within this email will lead you to the same malicious page that will attempt to infect your computer with malware. Figure B is a safely captured screenshot of the website you will land on if any of the links within the email are clicked. It is better branded than the email and fits the Bunning’s brand style. There is a date that the offer for the gift card is valid until, to rush you to click through in fear of missing out. The simple question is a trick and if clicked (anywhere on this page) your computer will be at high risk of a malware infection. We strongly suggest deleting this email from your inbox to avoid any confusion or accidentally clicking through. Always check the URL you have landed on and check that it is official or go directly to the official website you know if in doubt. Many gift card giveaways we have encountered recently are fake and malicious, so stay clear of anything similar as well.